Method Overriding in C# is similar to the virtual function in C++. Method Overriding is a technique that allows the invoking of functions from another class (base class) in the derived class. Creating a method in the derived class with the same signature as a method in the base class is called as method overriding. In simple words, Overriding is a feature that allows a subclass or child class to provide a specific implementation of a method that is already provided by one of its super-classes or parent classes. When a method in a subclass has the same name, same parameters or signature and same return type(or sub-type) as a method in its super-class, then the method in the subclass is said to override the method in the super-class. Method overriding is one of the ways by which C# achieve Run Time Polymorphism(Dynamic Polymorphism). The method that is overridden by an override declaration is called the overridden base method. 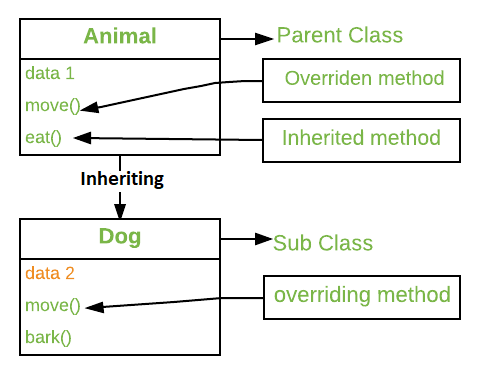 An override method is a new implementation of a member that is inherited from a base class. The overridden base method must be virtual, abstract, or override. Here the base class is inherited in the derived class and the method gfg() which has the same signature in both the classes, is overridden. virtual keyword: This modifier or keyword use within base class method. It is used to modify a method in base class for overridden that particular method in the derived class. override: This modifier or keyword use with derived class method. 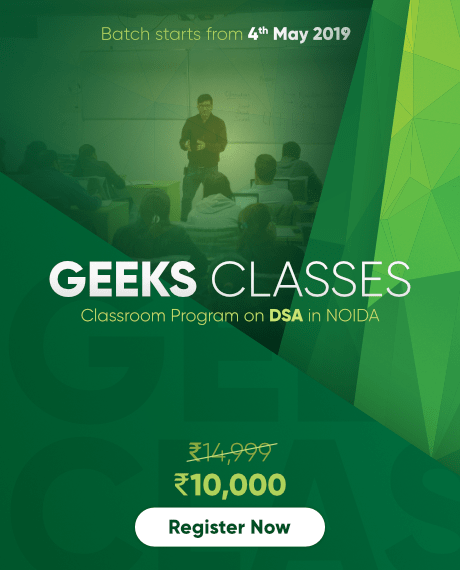 It is used to modify a virtual or abstract method into derived class which presents in base class. 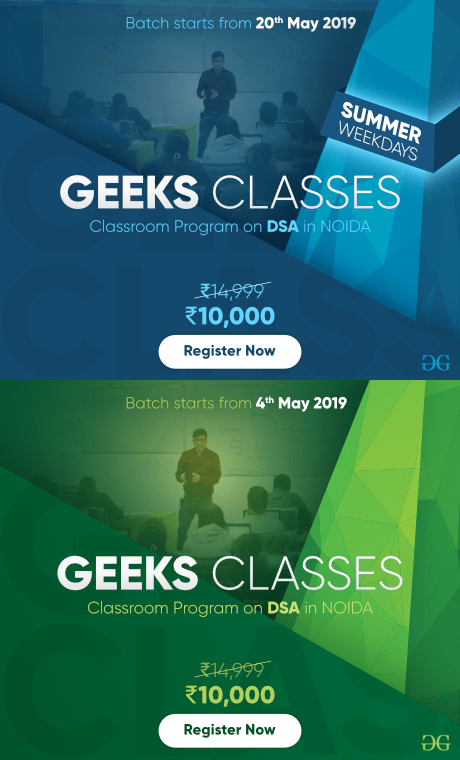 Here first, d refers to the object of the class derived_class and it invokes gfg() of the class derived_class then, b refers to the reference of the class base and it hold the object of class derived and it invokes gfg() of the class derived. Here gfg() method takes permission from base class to overriding the method in derived class. 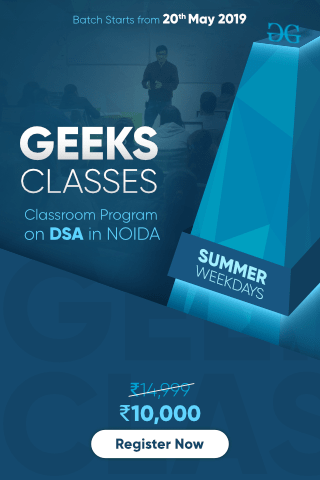 Explanation: In this program the object obj invokes class baseClass two times and call the method show() of class baseClass. To avoid this problem we use virtual and override keyword. Example 2: Method overriding using virtual and override modifiers. base Keyword: This is used to access members of the base class from derived class. It basically used to access constructors and methods or functions of the base class. The base keyword cannot use within a static method. Base keyword specifies which constructor of the base class should be invoked while creating the instances of the derived class. Call methods or functions of base class from derived class. Call constructor internally of base class at the time of inheritance. Example 2: How base keyword specifies the calling of base-class constructor from derived class when derived class instances are created. Example 3: It shows how base keyword specifies the base-class constructor called from derived class and also calling of a method using the base keyword from the derived class. Method overriding is possible only in derived classes. Because a method is overridden in the derived class from base class. A method must be a non-virtual or static method for override. Both the override method and the virtual method must have the same access level modifier.